A Jedox Spreadsheet has 65536 rows and 256 columns. These are also the limits for a Jedox view in Jedox Web. The length of element lists retrieved from the OLAP server in Jedox spreadsheets (for example, PALO.SUBSET feeding a combo box) is limited to 65,336 elements by default. This limit can be optionally changed. To change the limit, add a new entry “max_result_size” in the file “[Jedox_install_path]\core\palo_config.xml” in the section <palo_configuration>. In Jedox Spreadsheets, you should avoid formatting entire rows, columns, or worksheets if possible, since these actions are very memory intensive. Avoid using the auto-fitting option on a large number of rows if there is also a large number of columns in the final report, for example via the expansion of a horizontal DynaRange, or the other way round. We recommend you set the exact width and height. If in Jedox spreadsheets cell content is aligned to the right, then it is not possible to set indent values. In this case, the control for indent setting is disabled. Worksheet elements (charts, images, form elements) will not be moved dynamically if a row/column is hidden or if there is a change of the sheet layout. Marking multiple, unconnected cells/cell areas is not possible. In “Conditional Formatting Rules Manager”, order sorting changes are accepted only when “Show formatting rules for: This worksheet” is selected. In the case that the setting is “Show formatting rules for: Current Selection”, changes will not be accepted, although the “Apply” button is active. You can copy values from external tables and paste them into cells of a Jedox spreadsheet. In Designer Mode: if you execute the pasting in cells with PALO.DATA functions, then the preservation of the functions works only in the visible area. If the paste area is larger than the visible area, then the existing PALO.DATA functions in the non-visible area will be overwritten and the inserted values will not be written back to the cube. In User Mode: the pasting will only be performed on the currently visible cells due to technical limitations, even if the area is larger than the visible area. Cells in the invisible area will be untouched. The preservation of PALO.DATA functions work in the visible area. We recommend using the PALO.DATAC or PALO.DATA functions in Jedox Spreadsheets. 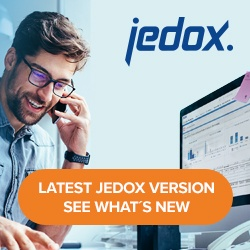 The PALO.DATAV function is still in the testing phase for Jedox Web, and it improves speed only in the Jedox Excel Add-in. For PALO.DATAC() there are two usage constraints: DATAC() cannot be used in cyclic calculations and is not possible to use two explicitly nested DATAC functions in one formula, such as PALO.DATAC(…,PALO.DATAC(…)). The inner function will have to be used in another cell, then referred to from the outer function. Cell references that point to sheet names that include DynaRanges don’t work. PALO.DATA formulas that refer to an empty cell deliver no errors, but they return a value of 0.